Today, the majority of adults have a mobile phone, and we’re using it for far more things than simply making phone calls. According to a 2012 report from The Pew Research Center’s Internet & American Life Project, of the 85 percent of American adults who own a cellphone, 85 percent use their cellphones to take photos. 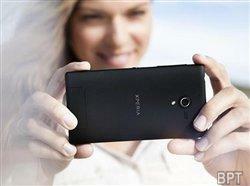 Most new smartphone cameras offer multiple camera functions, effects, settings and options. It’s important to learn what’s available on your phone so you don’t miss a beat. Visit the manufacturer’s website or check out tutorial videos on YouTube – many phone makers now make these available to consumers for free. While your smartphone camera may have a flash, zoom and other features, sometimes those functions won’t be optimum for the conditions in which you’re shooting. For example, turning off the flash may help prevent glare, bright spots and red-eye in certain situations. Zooming may cause an image to degrade or blur; you may want to shoot the entire image and then use editing software to crop it for the portion of the image you want to focus on. Technology is ever-evolving, and smartphone cameras are constantly being improved. If you’ve had your phone for a while and aren’t happy with the photos it takes, it may be time for an upgrade. When shopping, analyze key camera elements like megapixel count, sensor quality, user interface and ease of use. Most smartphones have 8 megapixel, primary cameras. The Xperia ZL from Sony outshines that standard with a 13 megapixel camera and HDR (high dynamic range) for photos and videos. High resolution capabilities are a significant advantage for smartphone videographers. Look for cameras that offer Full HD recording. This function gives you the ability to capture details that translate well on larger HD screens like that of a TV. Enhance your phone’s photo capabilities with some of today’s best photo apps that cost absolutely nothing. The award-winning application Snapseed (iOS, Android) allows you to adjust saturation, color levels, brightness, contrast as well as edit and enhance styling with a variety of filters. Quickly crop, edit and fix flaws with Adobe’s Photoshop Express (iOS, Android). Of course, social media junkies love Instagram (Android, iOS) because it’s a snap to share photos across social networks like Facebook, Tumblr and Twitter. The principles of good picture-taking remain the same, no matter what kind of camera you use. That means it’s important to keep the lens clean, carefully frame the shot, fill the frame with your subject, make sure the image is in focus, pay attention to lighting, and – when photographing kids and pets – get on the same level as your subject.